Originally published by Stevenson, Inc., this practical resource provides strategies for nonprofit organizations to connect with more volunteers through their websites. It includes proven techniques for tailoring a website to meet volunteers' needs and provides examples of effective website features from a variety of organizations. 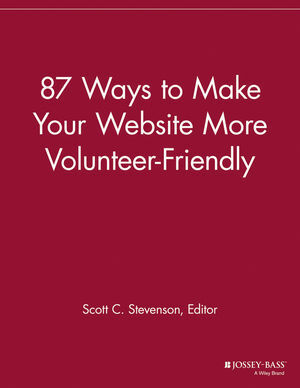 Scott C. Stevenson is the editor of 87 Ways to Make Your Website More Volunteer Friendly, published by Wiley.